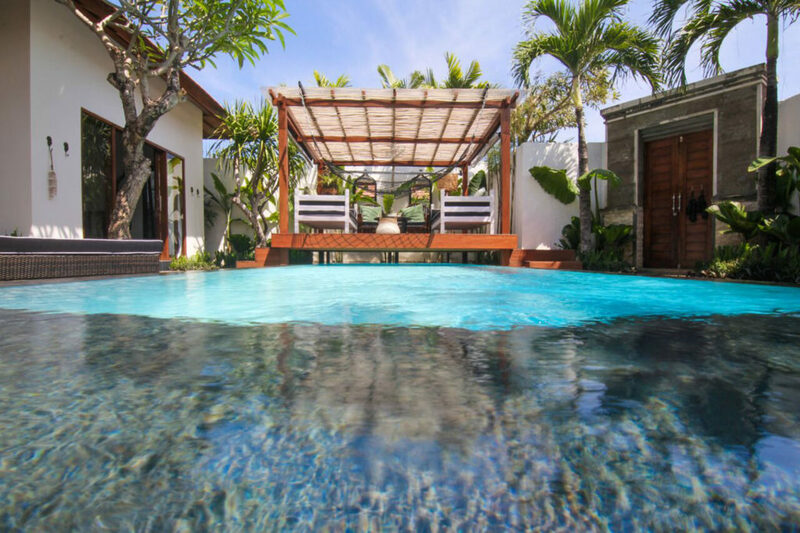 Umalas Retreat 4 is a fully appointed 3 bedroom, 4 bathroom villa with private pool and garden, set amongst beautiful working rice fields within the quiet village of Umalas. 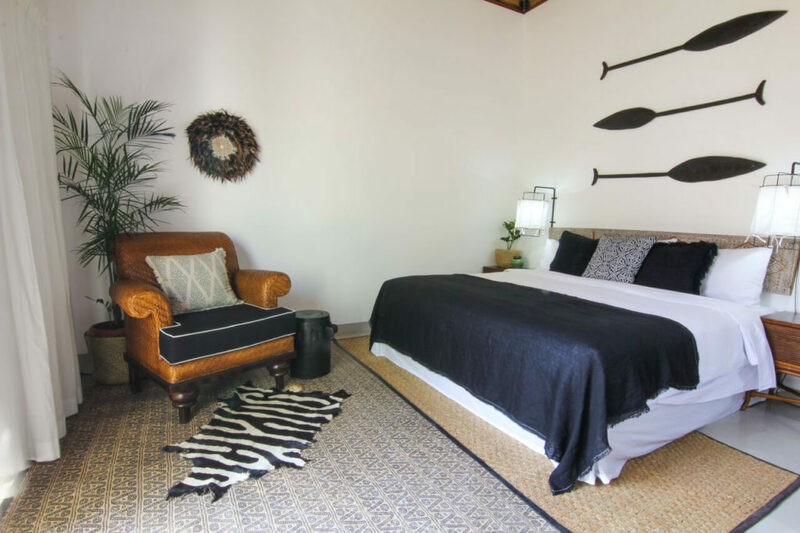 Decorated in a ethnic plantation style, this villa is perfect for families with older kids, or groups of up to 6 persons (or 7 with a roll-away bed, extra charge of AUD $20 per night applies). The villa is set within its own secure walled garden accessed by a private driveway and entrance, and consists of three unique guest suites with ensuites, a large pool with gazebo and hammock, partly shaded garden and generous living space. Umalas Retreat 4 has all of the benefits of a 5 star resort, in your own private paradise. The team at every Umalas Retreat villa focus on anticipating your every need during your stay, so that you can focus on relaxing, exploring and having a good time. Need supplies? Our staff will happily go and get them for you. Hungry or thirsty? Ask our villa chef to prepare you a drink, snack or meal. Need a massage by your own private pool? We can help there too. We can even stock the fridge for you before you arrive, at cost. Library of books and DVDs for guests use whilst at the villa. 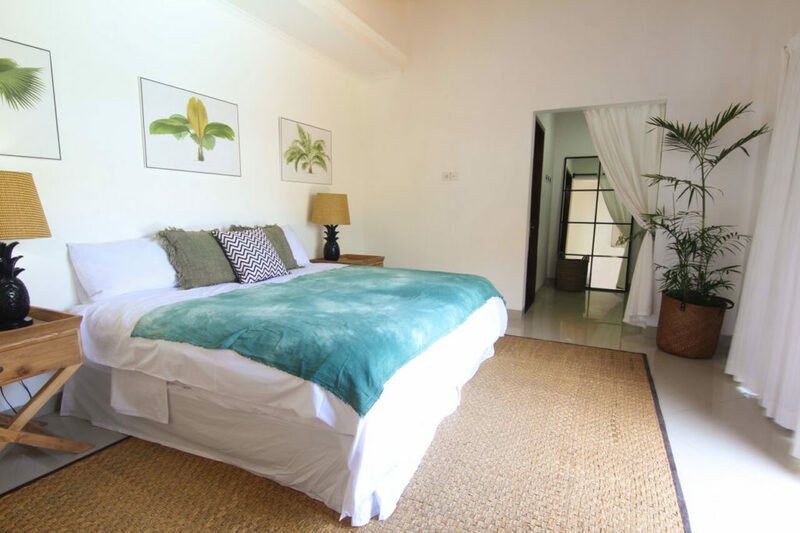 Umalas Retreat 4 provides an experienced team of staff to assist you throughout your stay. Our Housekeeper / Villa Chef Mrs Yuni has many years of villa experience. She will tend to the full daily housekeeping service in the villa including an evening turn-down service, and is also available as your personal chef, preparing dishes from a wide ranging menu of Indonesian or international dishes for breakfast, lunch and dinner as required. You pay for the ingredients, Yuni will shop and cook for you for free (excluding a small transport charge, usually around 25ooo IDR. Yuni has basic English speaking skills that are improving every day, and is lovely to be around. In addition, we have a full time security team, as well as a gardener and pool cleaner that attend the villa 3 days per week. On site parking for one vehicle or multiple scooters. 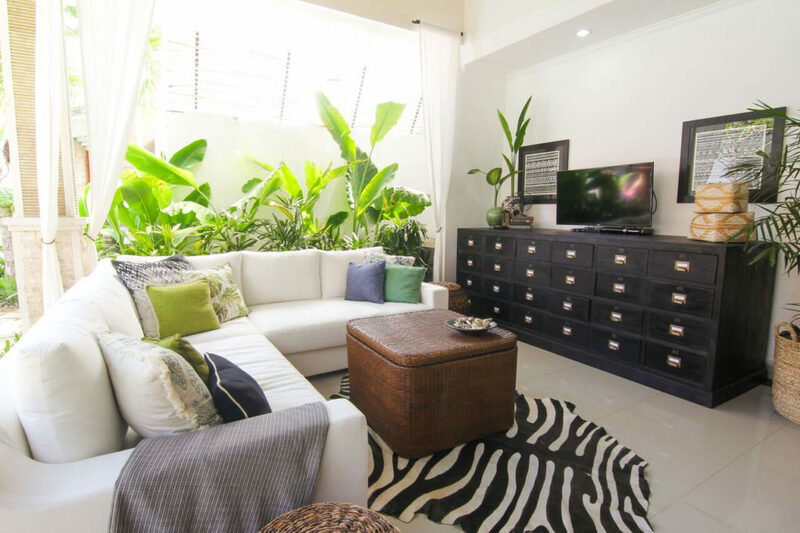 Additional services that we offer or can arrange include babysitting, daily laundry & food / drink shopping at cost, roll-away bed, English speaking driver, motorbike hire and a large range of in-villa massage and beauty treatments. 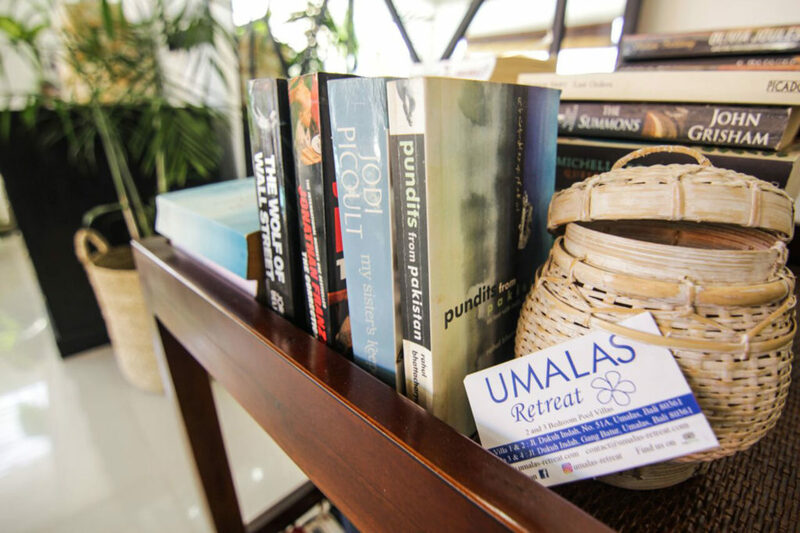 At an Umalas Retreat villa, all of the hard work is done for you. Your only job is to sit back, relax and enjoy the beauty of Bali.